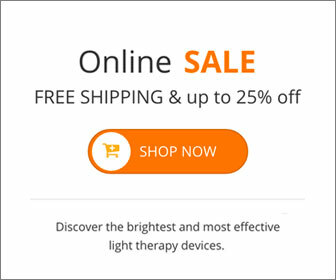 Blue light therapy boxes have been on the market these days.¬† Most of them advertise for helping with acne, but some advertise for Seasonal Affective Disorder. The downfall to blue light therapy is there¬†hasn’t¬†been a lot of research on the long-term exposure risks.¬† Blue light therapy dramatically raises the risk of light-induced retinal damage from light therapy. Macular degeneration is where a person eventually loses the vision in the center of their visual field because the macula ‚Äì the small central portion of the retina ‚Äì deteriorates.¬† It can make it difficult or even impossible to recognize or read faces, although the peripheral vision remains intact.¬† Optometrists are telling their patients who have or are developing macular degeneration to avoid blue light. So who should avoid using a blue light box? Those of us who are prone to macular problems due to genetics, nutrition, environment, health habits, diabetes, and aging should avoid using blue light. However, epidemiological evidence has found that even for young adults, in their teens and thirties, a moderate increase in blue light exposure will advance the onset of macular degeneration later in life by 10 years, which would double the likelihood of becoming blind in one‚Äôs lifetime. People with fair skin or light-colored eyes can be susceptible to macular degeneration by blue light because they have less melanin in their irises.¬† Melanin is the substance that gives eyes their color; it also protects the macula from light rays so they don‚Äôt cause damage. Because blue light is not necessary for effective light therapy, it has been recommended that light therapy devices screen out the potentially hazardous blue light wavelengths, and that light therapy devices emitting blue wavelengths of light should not be used until the potential hazard from blue light from light therapy devices is resolved. This entry was posted on Friday, May 14th, 2010 at 2:03 pm	and is filed under Light Therapy. You can follow any responses to this entry through the RSS 2.0 feed.